Ocean Blue reached out to me after I complained on twitter that my fish oil capsules were making me burp. The things that bring people together, huh? Burping fish oil is gross. There's no way around it. In the past, I've put them in the freezer, but even that didn't do the trick this time around. 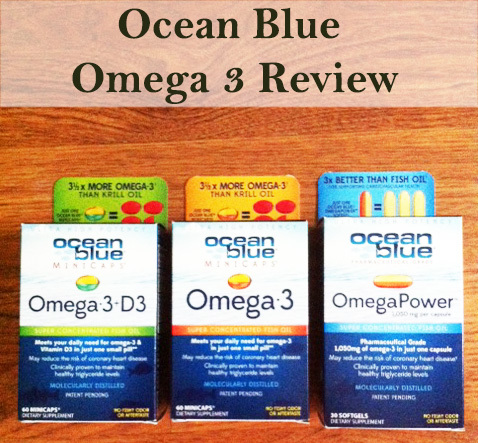 So Ocean Blue sent me these omega 3 capsules to test out, claiming I wouldn't burp. And after a week of trying them, I am happy to report zero burps. Not only that, but they have a vanilla flavor, so there is no unpleasant aftertaste. A product that does what it claims it does? It's a beautiful thing. So beautiful, in fact, that we'd like to send one of you some fish oil capsules to try for yourself, so we are giving away all three boxes- Omega 3 D3 (has vitamin D), Omega 3, and OmegaPower. Our bodies cannot make omega 3 fatty acids and we need them for things like controlling building cell membranes. They are good for protecting against heart disease, inflammatory bowel disease, arthritis and other autoimmune diseases. These are non-gmo and mercury free. Giveaway ends next Wednesday, September 18th at 11am, and there are a number of ways you can enter (see below). Open to US residents only. Good luck!